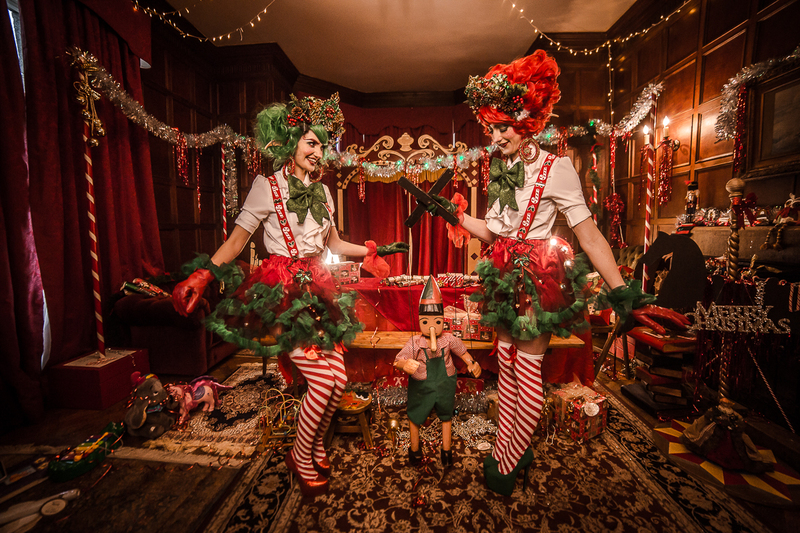 Bring a festive feel to your event this Christmas with our beautiful elves Holly and Ivy! Available as walkabout characters, stilt walkers and more. Find out more about these naughty elves below! 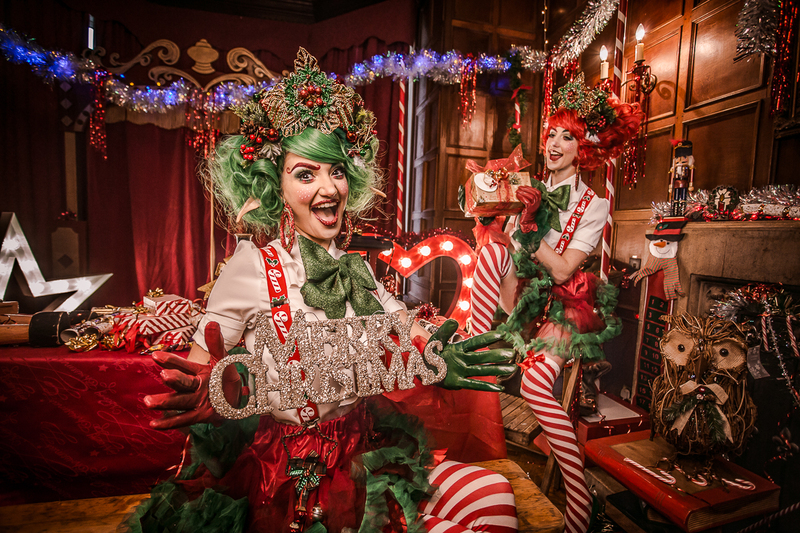 Meet Holly and Ivy our festive Christmas elves! They’re the fanciest Christmas elves you’ll ever meet! They’re cute, they’re cheeky and they’re full of fun! Have them greet your guests, hand out champagne or canopies or have them as elves on roller skates or stilt walking elves! Have them dazzle your guests with their cheeky comments and witty ways. They’re also great for Santa’s Grotto entertainment and for all types of private and public Christmas parties and events. 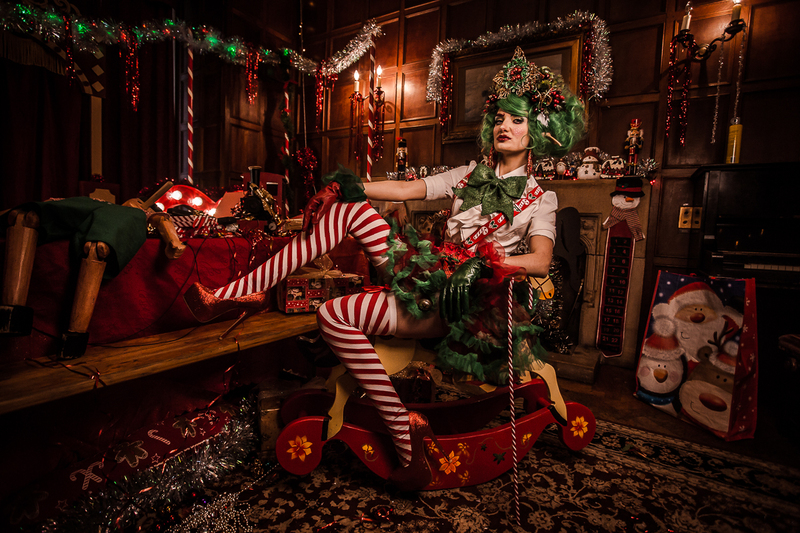 Hire the UK’s quirkiest Christmas Elves. Need more elves? 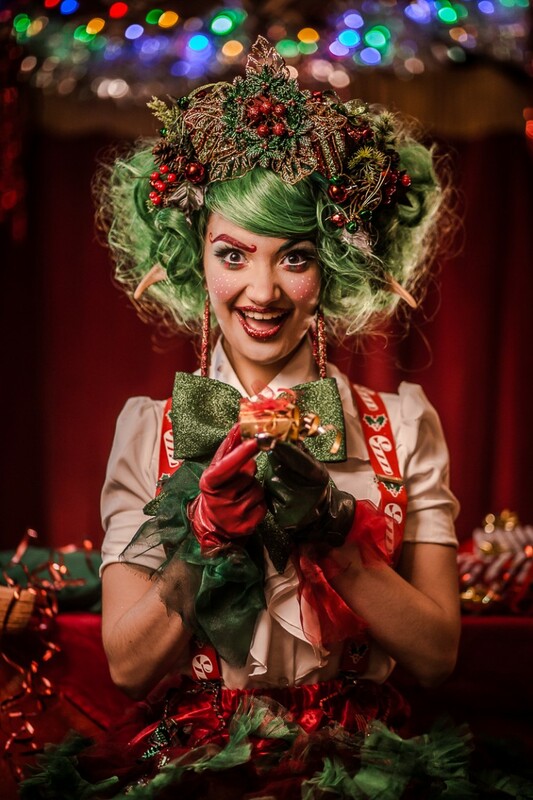 Holly and Ivy also have 2 other festive elf friends you can hire! We are not limited to just 2 of these festive bundles of joy. An exceptionally great choice for corporate parties, Christmas event entertainment, Christmas Lights On events and any other festive event you can imagine. Need more festivities and fun? Book them with our fluffy Polar Bear!